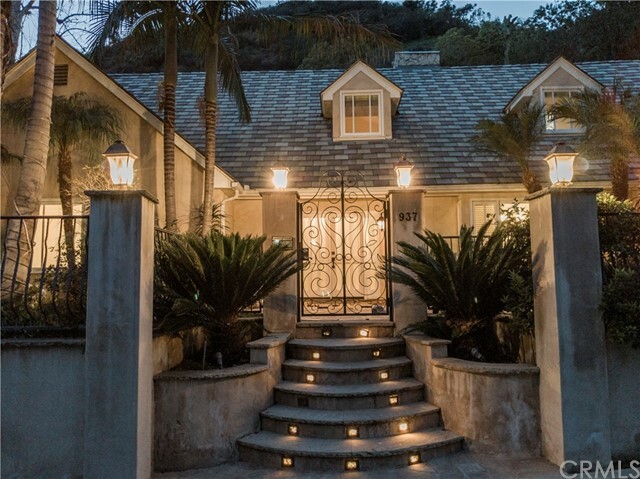 All Bel Air homes currently listed for sale in Bel Air as of 04/20/2019 are shown below. You can change the search criteria at any time by pressing the 'Change Search' button below. "Perched atop a private double gated promontory of the legendary Bel Air community, the Orum residence was designed as a living piece of art. This architectural achievement by world renowned architect Zoltan Pali (FAIA) is uniquely situated to maximizing unobstructed views, spanning the downtown skyline to the Pacific Ocean, and everything in between. Created as a distinctive home that seamlessly integrates into the surrounding environment, this three winged residence wrapped in 3 types of glass; mirrored, translucent, and clear, harnesses the elements of true luxury and sophistication. From conceptual design to final execution, Orum is the pinnacle of dedication to craftsmanship, refinement, and style, while maintaining a warmth and functionality." "Amazing opportunity in the sought-out hills of Bel Air, with expansive ocean views of the Queen's Necklace, Catalina Island, canyon and vineyard. Don't miss out on this 12,000-square foot home with one acre of land currently near its completion. 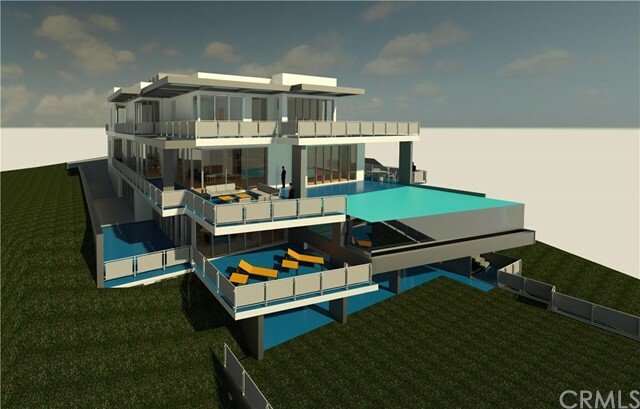 A developer or end user can bring this beautiful contemporary estate to its full splendor under market value. With the most exquisite designer finishes, this home will embody luxury living at its finest. The property features seven bedrooms including two maid's quarters, eight bathrooms, media room, wine room, gym, butler's pantry, resort like pool and entertainment area. Seize this opportunity to finish this magnificent estate." "***SUBMIT***Extraordinary Development Opportunity in Bel Air, ready to start construction for building 13,277 Sq Ft + 4,306 Sq Ft Basement = 17,583 Sq Ft Luxury Estate with 6 Bedrooms 8 full bathrooms and 3 half baths ( see some renders and video of the eventual model)*** PLANS APPROVED BY City of Los Angeles*** Besides its unique, sophisticate and futurist design, it includes a huge front Atrium, ramp way for 8 car garage, bowling lanes, theater, pool, Jacuzzi , gym , bars, cellar, bunker, elevator, an attached 2200 Sq Ft Guess House, and much more .... ** currently there is a perfectly fine habitable house/dwelling of 2,087 Sq Ft ( 2 Beds 2.5 Baths with jacuzzi on backyard ) **"
"Prestigious Estate with exquisite attention to detail, located in the sought out area of Bel Air! Nestled on a tree-lined street with a dramatic entry to a two-story foyer. Soaring ceilings, French Arched Windows and an impressive open floor plan is carried throughout the home. 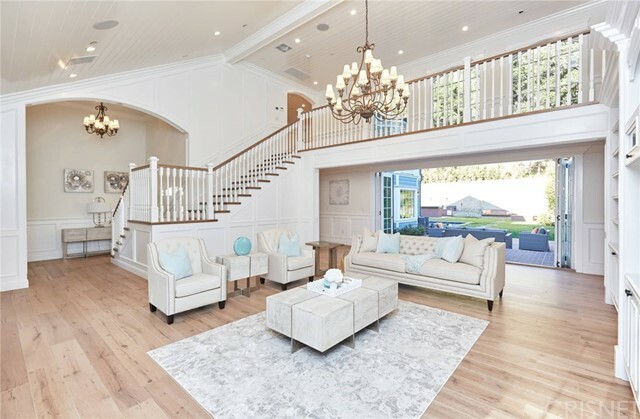 The main level features a spacious living room with a grand fireplace, built in cabinetry and French bifold doors opening up to the lush landscaping and outdoor entertaining area. A private formal dinning room with a custom vine cellar flows over to a Chefs Kitchen with Thermador appliance and infinite marbled center island. The upstairs includes the master suite, generous in its size overlooking the gardens, boasting a fireplace and lounge area flowing to a double sink vanity in the master bathroom and a walk-in-closet. The additional en-suite features walk-in-closet, lots of natural sunlight and a private balcony. A serene outdoor, is the perfect entertainment area with built in cooking grounds wrapped around in sitting areas with a fire pit. Privacy evoked by lavish greenery completes the oasis with zero edge pool, grassy pads and secluded terraces. Desirable location near LAs finest Restaurants, Entertainment and The Getty Museum. Minutes away from top ranked schools!" "Best value in Bel Air! Great opportunity in the popular Holmby Hills neighborhood. Elegant remodeled traditional home with the finest designer finishes and upgrades. Enter through the foyer and into the formal living room with wood flooring, oversized fireplace and double French doors leading out to the spacious patio. State-of-the-art gourmet kitchen with granite counters, center island, Viking appliances, tumbled stone floors, breakfast room, prep kitchen and butler's pass w/wine pantry. Formal dining room with double French doors and windows that lead to adjacent garden patio. The Main floor master bedroom is situated at the opposite end and Master suite with walk-in closet, Carrera marble counter tops, sauna, steam and heated floor..Amazing entertainment spaces -- large family room and media/game room with fireplace and wet bar. Classic library/office with vaulted wood beam ceiling. 3 more bedrooms and maids room. Features include Carlisle hardwood floors, vaulted ceilings and an ipad controlled Vantage system for lights, music and temperature control. Walk outside to a Botanical garden setting on almost one acre lot with a 50 ft. waterfall and private orchard. Beautifully landscaped multi-terraced yard with entertainment patios, romantic private spa and tree top views."